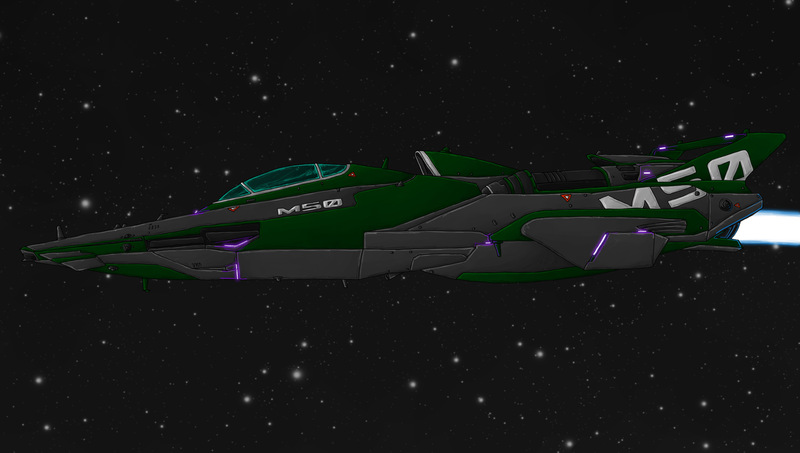 For this week’s making of blog post I decided to make the M50 for the contest. I wanted to keep with the art style of the comic here. So at first I created the line art I would use. After that was finished, I filled it in with block coloring to get the color design I wanted. I decided to go with the grey of our Cutlass, the Havik, but with some green in the paint job. After this I went in to the colors to add my shading/texturing technique. The next step in my process is the overlay lines that I like to use for some added detail. Adding in some running lights, the engine trail, and the space background it was almost complete! 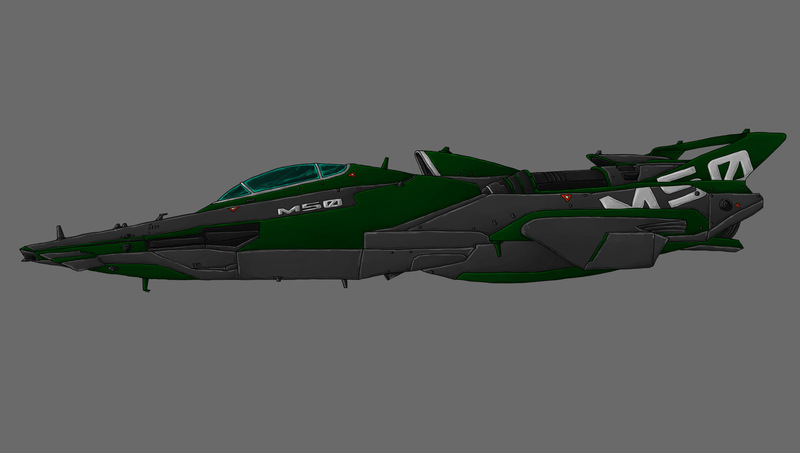 But to finalize this piece, I had to add the Cargo Liberation & Salvage logo to the side and wing. I hope everyone enjoys this special edition making of blog. 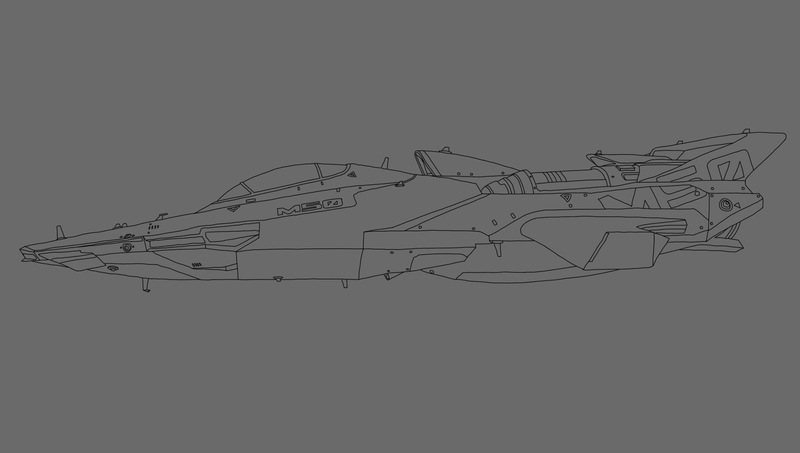 Just thought I would share a bit about my process of creating ships, with this one in particular for the contest, wish me luck!